When I first asked myself this, I thought ‘nahhh’. 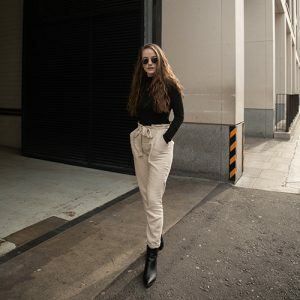 I blog purely as a hobby, and have never considered myself as a brand, nor have I felt I could take my blog that seriously. However I’ve been pondering on the idea of branding my blog, and myself as a blogger a little bit more. And I’ve likened to the idea more. Maybe because I’m quite into the whole ‘design’ and creative aspect of it? But after looking into it a little bit I’ve come to see how maybe you should be branding yourself as a blogger. I wanted to wait to write this until I had finished branding myself, but it’s a long process. Especially as I’m working on a little project within the branding of my blog, and I’m a perfectionist. But I need something to post. 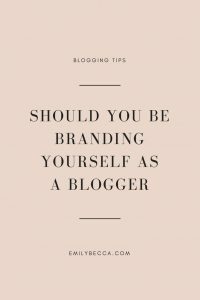 So here are my thoughts as to why you should consider branding yourself as a blogger. Even if it’s just your hobby. Branding, in a nutshell, is what you are recognised for. Whether that be your content, logo, photography or general aesthetic. Take a mainstream brand for example, say Urban Decay you can always tell by their packaging, colours and fonts that it’s them. Their recognized for their sleek look and premium products. It’s their personality. So likewise you want people to see a photo or graphic of yours on Pinterest and know that it’s yours. Now of course I’m not saying you have to, it’s completely up to you. But if you’re a blogger, creative or business owner giving yourself an identity can make you come across more professional. Which isn’t everyone’s cup of tea, it wasn’t mine. However I used branding to become more memorable. So when you saw a pin of mine or an Instagram of mine, you knew it was mine. And branding yourself doesn’t mean writing out mission statement after mission statement. It’s just becoming aware of how you want to be recognised on the internet. Lets get the inevitable question out of the way. Personally, I don’t think so. However creating yourself a brand that works around everything is a lot harder than if you’re just a travel blogger or a foodie blogger. Most articles I read told me I needed a niche, but, like many others, I blog for the fun of it. So I still want that freedom. My advice is just to accept not everyone will enjoy your brand and look, but we can’t please everyone. And if they like your posts they’ll stick around. When people see your blog, you need to instantly draw them in. Give it around 10 seconds. So you want to give a good first impression. So to have a clear and concise look and personality to your blog, it helps to keep people in. It also helps jog peoples memory as they’ll see your logo or photography and know it’s your blog. All in all, it’s just a lot more professional and eye pleasing to your readers and any brands who may be considering to work with you. You’ll begin to attract more people who are more suited to your content as there’s a definitive look. Do you have goals for your blog? Do you know what you want out of it? Are you wanting more collaborations? Have you got a clear target audience & community? I’d say if you can answer at least 2 of these, you’d be good to go. As you’re basically half way there. And it’s really not as scary as it sounds, you don’t have to throw your all into it. I will do a post on how to brand yourself as a blogger when I’ve finished sorting my blog out! It can actually be quite exciting. 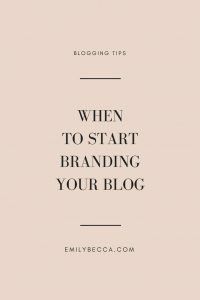 But overall, I do recommend branding yourself as a blogger, especially if you want to blog full time or monetize your blog. But if you’re just casually blogging but uploading frequently, I’d definitely recommend you do it too! If you have any questions please feel free to contact me on Twitter or Instagram or comment down below and I’ll get back to you! Branding is very important. I’ve only started taking it serious last year. Making the look of my platforms uniform and etc. It really is, especially in this generation of blogging! Aww thank you! This is such a good post. So many people are nervous about referring to themselves as bloggers and they needn’t be. I’d argue that all you really need to do to be a blogger is own a blog–whether that be a free site, or a self-hosted website. You post content on the internet that others read, or that your family and friends are willing to share? You’re a blogger, girl. Own it and flaunt it. Thanks for writing such a thought-provoking post! Loved this post. I totally agree, I personally think having a “niche” is an outdated viewpoint. Of course there are bloggers out there who write about a specific subject and that fine, but for me, I prefer not to restrict my writing to one area. If asked, I tend to say “ I write a lifestyle and beauty blog” rather than “I’m a blogger” that seems to work for me!